This book is a valuable tool for those interested in living a longer, healthier life. My research with laboratory animals has shown that a nutrient-rich, calorically reduced diet slows the aging process, decreases age-related mortality, and increases longevity. Delaney and Walford translate the results of my and other's research into practical terms that are easy to understand and easy to put into practice. This is not a rigid 'diet book.' It is a flexible program that guides the reader towards a healthier way of eating and living. Follow the advice in this book and you will very likely see many extra years of health and vigor. 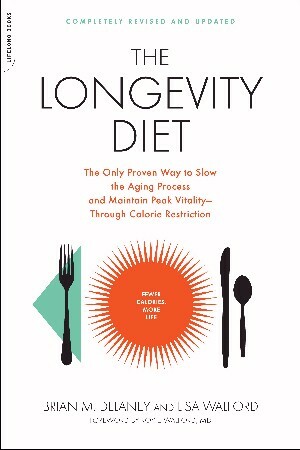 The Longevity Diet offers a new way of living. It helps readers mull over a commitment to themselves to live long and healthy and how to achieve it. You can take baby steps at first if you aren't ready to change every eating habit, and charts help you choose nutrient-dense foods that are still filling and satisfying. The book addresses the deleterious effects of stress that often induce humans to overeat. Forget the idea of eating to lose weight or even to feel better. Trade calories years of healthy living. That's the Longevity Diet."